The iOS 12 release date in 2018 shouldn’t surprise you by now – Apple always launches its big iPhone and iPad update at the same time every year. Its new software features, however, are always filled with some unexpected and exciting news. 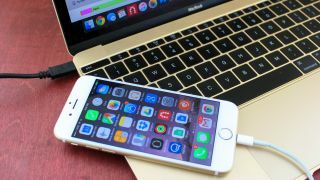 We fully expect groundbreaking ideas, but also a healthy dose iOS 11 fixes given our many, many ongoing iOS 11 problems. With the launch of iPhone X last year and the theoretical iPhone X2 release date happening later in 2018, Apple seems poised to make more big changes. Here’s our list of what we expect from iOS 12, given leaks and rumors about the next big mobile operating system update for the iPhone and iPad. How much will it cost? Nothing. iOS 12 will remain free. The iOS 12 release date isn’t a lock, but we fully expect to see the changes debut at Apple’s WWDC 2018 keynote in early June. That’s less than four months away. Apple typically announces its new iOS update during this developers conference and also issues the first developer beta within the next week. A public beta has also launched in June for every non-developer willing to test it out. Apple needs these betas more than ever for iOS 12, as it’s been plagued with so many iOS 11 problems. The company is unlikely to stop issuing the unfinished software since it values this feedback from so many users. The actual iOS 12 release date for everyone else is expected to be in September, right as the iPhone 9 and maybe the iPhone X2 launch. We don’t yet know the names of Apple’s next phones, but rumors point to a cheaper version of the iPhone X with an LCD screen and an iterative update by the way of the X2. “iOS 12 just works,” may be Apple’s big message about its next iPhone update, as it’s reportedly focusing on reliability and shelving many exciting features. There have been so many glitches and bugs with the current mobile operating system that the team said to be working on the software allegedly got a directive to drop refreshes to the Camera, Mail, and Photos app to work on stabilization. We may also miss out on a planned home screen redesigned. This is both good and bad news if you were looking forward to iOS 12. There may be fewer front-facing features, but your iPhone may reset less. It’s hard to argue with that. One of the biggest new iOS 12 features may actually be for you computer: Apple may bring first and third-party iOS apps to your Mac computer. Why can’t you control your smart home with the Home app via that all-powerful iMac Pro? It’s a ridiculous notion. Apple is rumored to be allowing developers to expand their app ecosystem to the forthcoming macOS 10.14 update. Apple’s own apps, like Home, are also said to be finally making the jump, according to Bloomberg. Whether you demanded it or vehemently opposed it, Apple is due to bring more Animojis to iOS 12 for use with the iPhone X Face ID camera. The navigation of these character masks should get easier too, according to Bloomberg. Apple’s Animoji character may make two jumps. First, the natural jump to FaceTime for video chats behind a virtual panda, robot and poop mask. Second to what may be a new iPad Pro 2018 with a Face ID camera. We’ve seen some evidence of an updated iPad recently, so that makes sense. Currently to do that you have to head to the main Settings screen, so in iOS 12 we’d like there to at least be an option to have proper ‘off’ toggles in Control Center – perhaps with a harder 3D Touch? People often talk about how intuitive iOS is, and for the most part they’re right, but there are some aspects which really aren’t – namely the camera controls, or rather their location.